We use new and natural materials to make quality shoes. 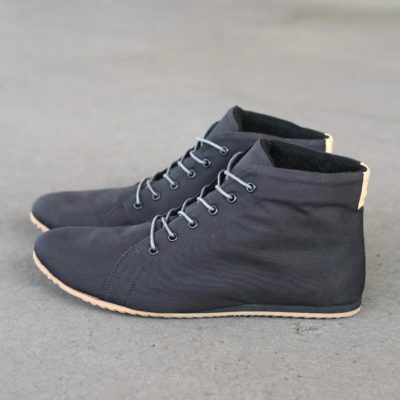 Primarily, our materials are plant-based, using mostly cork, waterproof organic cotton, pineapple-fibers and a new type of faux leather that consists of up to 80 percent natural and plant-based materials. Approximately 75 percent of our products are entirely vegan. Our leather is manufactured in Europe, free of chromium-IV and partly vegetable-tanned. When selecting materials, we are choosing a new approach and offer a sustainable alternative. The origins of our materials are especially important to us. If possible we source materials from local manufacturers in the region of our shoemakers, ensuring ethical labour conditions are adhered to. 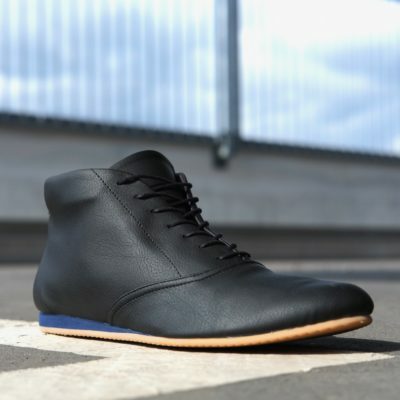 Although, for the most part we work with Western European suppliers that make the uppers and outsole materials in Switzerland, France and Italy. We do so, in order to ensure that there is no exploitation of labor involved and that the materials are manufactured according to high environmental and labor standards. The strict selection of our suppliers also shows in the quality of our shoes. Our shoes are always soft and flexible. We use light-weight materials and avoid unnecessarily hard and heavy strengthening in between the layers – to increase comfort and protect natural resources. 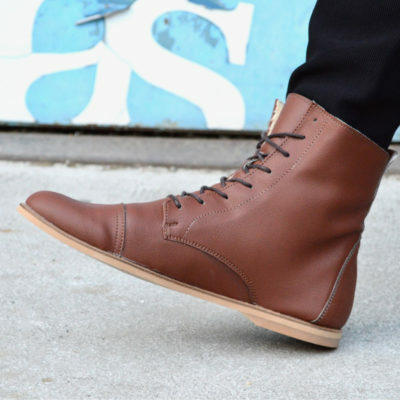 SORBAS are modern shoes that are manufactured by traditional shoemakers in small and local shops. This improves the quality of our shoes, but also ensures high labor standards. By only choosing small and trustworthy shoemakers for the manufacturing, we support and promote local communities. We make sure that we know exactly where our shoes come from and under which conditions they have been made. We cultivate friendly relationships with our shoemakers and their staff. We support the expertise of people who have been working in the shoemaking industry for generations; maintaining and expanding the traditional shoemakers business in these communities. SORBAS integrates small and traditional shoemakers into the modern supply chain, securing the future of family businesses and their staff, especially in less privileged countries, We want to set an example for good working conditions and show that small shoemakers can be successful and enjoy a bright future. In order to establish fair working conditions, we collaborate with international partners. Our first project in Serbia was made possible with the support of the development agency USAID. Here we work with a traditional shoemakers family to improve labor conditions, paying wages above minimum- and living wage. Our production has become the main pillar of the family business and is securing the shoemakers’ future. SORBAS is a young label from Berlin. The brand SORBAS stands for quality design with a passion for minimalism. 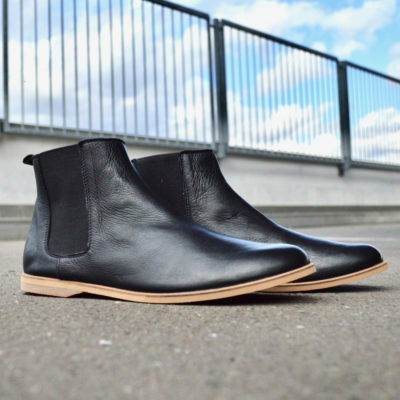 Our shoes are manufactured by traditional shoemakers – we avoid mass production. The smart, unique design and the manufacturing process carried out by experienced shoemakers delivers high level of comfort and quality. SORBAS shoes are light and flexible, the quality and natural materials guarantees that you feel comfortable wearing them. Our shoes are suitable for every setting; you can wear them at the office during the day, when going out at night and when taking long walks on the weekends. We combine the different materials and cuts to offer a wide variety of series and models: The 50’s-series is made from canvas, the 60’s-series of waterproof cotton, the 70’s-series of cork, the 80’s- and 90’s-series of leather or faux leather, offering a vegan alternative indicated with a v following the model name.